EuCROPIS power cell research. 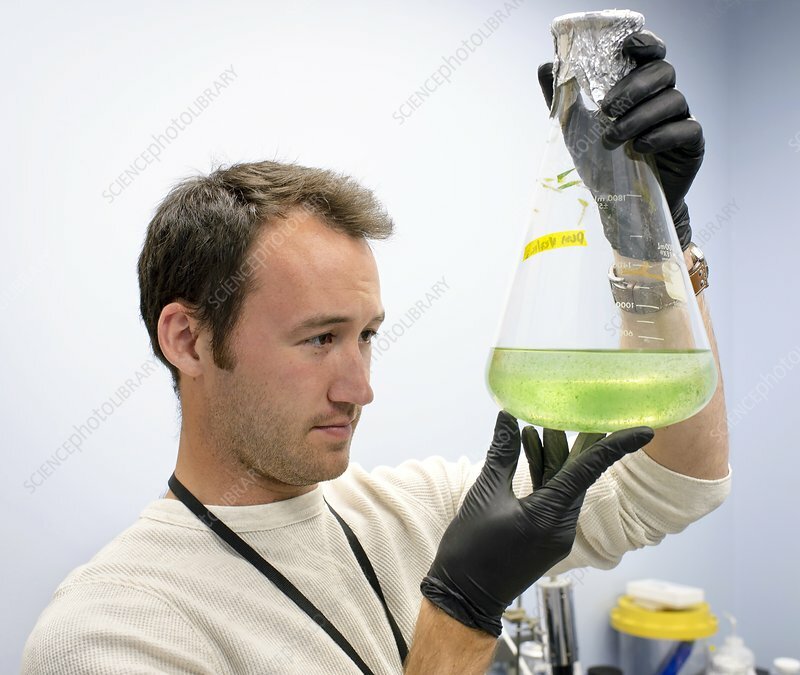 NASA researcher Griffin McCutcheon with a flask of cultured Anabaena cyanobacteria. This is part of the EVT-2 experiment involving photosynthesis being used to provide energy for electrical power cells in space. Eu:CROPIS (Euglena and Combined Regenerative Organic-Food Production in Space) is a satellite developed by the German space programme to investigate growing plants in space, and on Mars and the Moon. Photographed at the Ames Research Center, California, USA, on 2 May 2016.